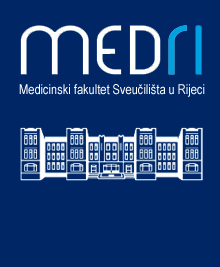 Tomić, A., Varanasi, P. R., Golemac, M., Malić, S., Riese, P., Mischak Weissinger, E. ... Messerle, M. (2016). Activation of Innate and Adaptive Immunity by a Recombinant Human Cytomegalovirus Strain Expressing an NKG2D Ligand.. PLoS Pathogens, 12. (12). doi: 10.1371/journal.ppat.1006015. Tomić, Adriana, et al. "Activation of Innate and Adaptive Immunity by a Recombinant Human Cytomegalovirus Strain Expressing an NKG2D Ligand.." PLoS Pathogens, vol. 12, br. 12, 2016. https://doi.org/10.1371/journal.ppat.1006015. Tomić, Adriana, Pavankumar R. Varanasi, Mijo Golemac, Suzana Malić, Peggy Riese, Eva Mischak Weissinger, CA Guzman, Astrid Krmpotić, Stipan Jonjić i Martin Messerle. "Activation of Innate and Adaptive Immunity by a Recombinant Human Cytomegalovirus Strain Expressing an NKG2D Ligand.." PLoS Pathogens 12, br. 12 (2016). https://doi.org/10.1371/journal.ppat.1006015. Tomić, A., et al. (2016) 'Activation of Innate and Adaptive Immunity by a Recombinant Human Cytomegalovirus Strain Expressing an NKG2D Ligand. ', PLoS Pathogens, 12(12). doi: 10.1371/journal.ppat.1006015. Tomić A, Varanasi PR, Golemac M, Malić S, Riese P, Mischak Weissinger E, i sur.. Activation of Innate and Adaptive Immunity by a Recombinant Human Cytomegalovirus Strain Expressing an NKG2D Ligand.. PLoS Pathogens [Internet]. 2016. [pristupljeno 19.04.2019.];12(12). doi: 10.1371/journal.ppat.1006015. Naslov (engleski) Activation of Innate and Adaptive Immunity by a Recombinant Human Cytomegalovirus Strain Expressing an NKG2D Ligand. Development of an effective vaccine against human cytomegalovirus (HCMV) is a need of utmost medical importance. Generally, it is believed that a live attenuated vaccine would best provide protective immunity against this tenacious pathogen. Here, we propose a strategy for an HCMV vaccine that aims at the simultaneous activation of innate and adaptive immune responses. An HCMV strain expressing the host ligand ULBP2 for the NKG2D receptor was found to be susceptible to control by natural killer (NK) cells, and preserved the ability to stimulate HCMV-specific T cells. Infection with the ULBP2-expressing HCMV strain caused diminished cell surface levels of MHC class I molecules. While expression of the NKG2D ligand increased the cytolytic activity of NK cells, NKG2D engagement in CD8+ T cells provided co-stimulation and compensated for lower MHC class I expression. Altogether, our data indicate that triggering of both arms of the immune system is a promising approach applicable to the generation of a live attenuated HCMV vaccine.